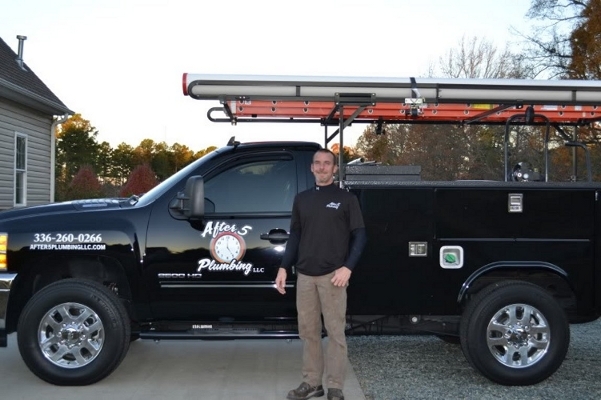 You have found the solution to all your plumbing needs! Got you covered, we have many commercial customers! We do that! Why call anyone else? We are here for you, 24-7 365! Welcome to After 5 Plumbing! We are about the customer here at After 5 Plumbing. We are fully licensed and insured. Our employees are polite and professional. We service most areas of North Carolina, and even parts of South Western Virginia, Danville, South Boston, Martinsville, and more. We do residential and commercial plumbing. We service a large geographical area, including Burlington and all local cities adjacent to it. This includes the Triad, Triangle, and Queen City areas, as well as parts of central and southwest Virgina* We provide all the normal plumbing services, we handle clogs, breaks, what ever you need. Check out our rating with the BBB and on Angieś List. We are standing by to provide the service you need and deserve!